POLICE have now arrested 29 people between Cadiz and the Costa del Sol in one of southern Spain’s largest drug busts. Over 500 Guardia Civil officers from across the country are involved in the operation that has resulted in 36 different searches. 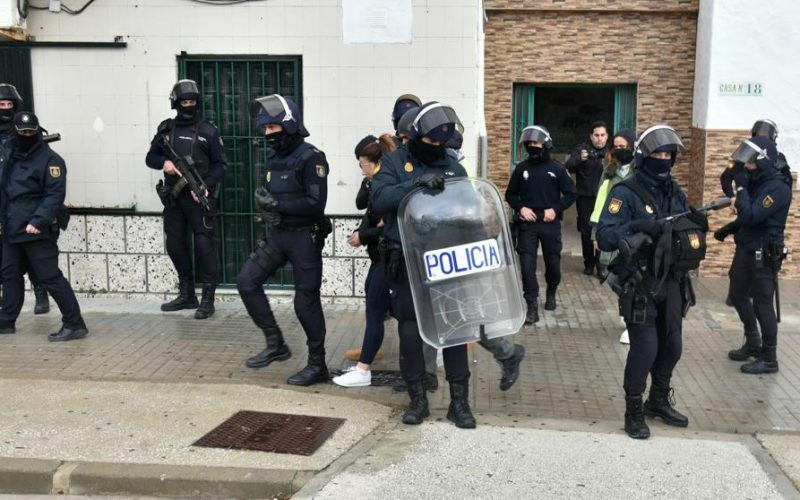 Most police activity has focused on La Linea, where police have arrested several people linked to the Castañitas drug gang whose crime dominates the border city. The infamous gang are thought to control 70% of the hash that makes its way across the nearby Strait of Gibraltar from Morocco into Spain. The police operation has also used helicopters and boats, while a roadblock with vehicle controls was in place on the perimeter of La Linea. It comes as Government delegate in Andalucia, Alfonso Rodríguez Gómez de Celis has warned young people who choose a life of drug trafficking that they will ‘finish in jail’. The politician made the stark warning in Sevilla, where he added: “We will not stop until we find the last drug trafficker of the Campo de Gibraltar.